Israel Ingham’s life has never been easy. He grew up in a house devoid of love and warmth. Nothing he ever did was good enough. The fact Israel is gay just added to the long list of his father’s disappointments. Then a letter from Eastport Children’s Hospital changes everything. A discovery is made, one of gross human error. Twenty-six years ago two baby boys were switched at birth and sent home with the wrong families. Sam, Israel’s best friend, has been his only source of love and support. With Sam beside him every step of the way, Israel decides to meet his birth mother and her son, the man who lived the life Israel should have. Israel and Sam become closer than ever, amidst the tumultuous emotions of meeting his birth family, and Sam finds himself questioning his feelings toward his best friend. As Israel embraces new possibilities, he needs to dissect his painful relationship with his parents in order to salvage what’s left. Because sometimes it takes proof you’re not actually family to become one. 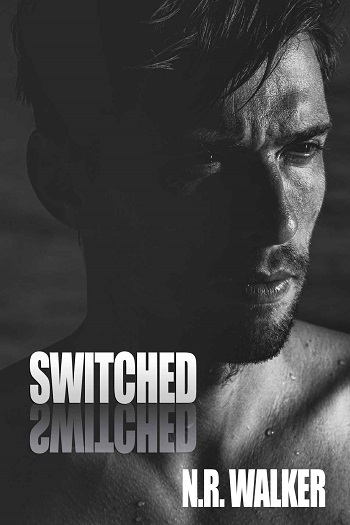 Switched is one of those books I’ve had on my to-be-read list for a while, so when the opportunity to review the audiobook came up, I said “Heck yeah!” without re-reading the blurb. When I cued it up to listen to it, I did so without re-reading the blurb. So while I had a vague remembrance of what it was about, I had no expectations. Let me tell you, blank slate reading or listening can be a lot of fun because you’re not exposed to any spoilers and you get to accompany the characters on whatever journey lies before them. And Israel’s journey was one heck of a rollercoaster ride of emotions, complete with highs and lows, twists and turns, whiplash-inducing changes in trajectory, stomach-in-your-throat moments of fear, and extreme relief and elation when you get to the end and realize that everything is as it’s supposed to be. I’m not sure how she did it, but Walker managed to make me care about Israel and detest his parents within mere pages, simply by how they responded to the news that Israel might not be the son his mother gave birth to. Even knowing that all three were experiencing varying degrees of shock, I was still astounded that neither parent seemed concerned about Israel’s state of mind. Thank god for Sam! It’s easy to see why Sam is not only Israel’s best friend but his rock, his anchor, his lighthouse, or whatever metaphor you prefer for the person who grounds you and who is always there for you, no matter what, where, or when you need them. The journey that Sam takes is quite literally life changing on so many fronts. In meeting his birth mother, he sees the family life he could have had and while it’s certainly a blow, Sam’s family had filled in much of that gap when they became friends. Yet, Israel does not begrudge Nick the happy family he grew up with because the love between mother and son (and siblings) is so strong. However, seeing those familial bonds forces Israel to confront his mother and father about his childhood and he learns things about his parents that have him re-evaluating his relationship with them and whether or not they have a place in his future. This part of the journey had me feeling emotions in the extreme and left me wanting to wring Israel’s father’s neck so many times I lost count. Of course, the most exciting part of the journey for me was seeing Israel and Sam make the move from friends to lovers. It was actually sad at first because Israel is so starved for love that he was blind to the fact that Sam cared for him unconditionally and wanted to be more than just friends. Fortunately, Sam knew what Israel’s home life was like, knew that Israel might never be able to be more than just friends, and cherished the position he had in Israel’s life, doing all that he could for Israel and loving him in the way that Israel allowed – and I’m not saying that right, but you’ll understand when you read or listen to the book. Walker manages to weave Israel’s romantic and familial journeys together beautifully, so that neither is more important than the other as he must deal with so many shifts in his world at the same time, and pens such genuine human reactions that it was easy to forget these are fictional characters in a book. I particularly liked how Israel was able to reframe his relationship with his parents once his father finally revealed so much about his parents that he never knew, yet didn’t forgive and forget at the first sign of remorse from his father – we actually got to see the men begin to work on repairing their strained relationship. Avoiding the quick fix for the sake of a perfect happily ever after added to the realism of Israel’s story and made me love his story that much more. As always, Joel Leslie’s narration was a joy to experience. I’ve yet to be disappointed by one of his performances and doubt I ever will because the man is such a talented voice actor. Because of the gauntlet of emotions Walker puts Israel through, Leslie had to create a character voice for the young man and then adapt it to convey all of the highs, lows, and everything in between that Israel experiences – and he did so swimmingly, Captain. I’ve actually got a used tissue or two to prove it… well, had, because I tossed those soppy messes in the trash. Switched was an amazing story that was made even richer by Leslie’s narrative performance. I just wish there was a sequel so I could see what everyone is up to now, especially considering what happened in the epilogue. 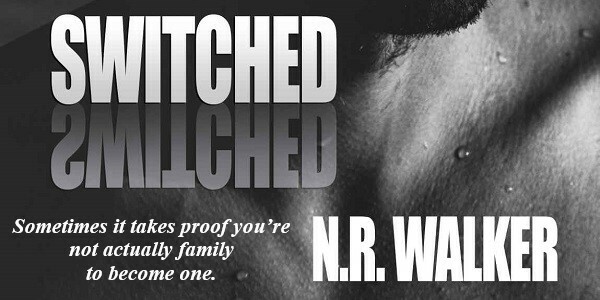 Reviewers on the Wicked Reads Review Team were provided a free audiobook copy of Switched by N.R. Walker, narrated by Joel Leslie to listen to and review.